Berger Wipes are individually packaged, micro-fine tissues which are pre-moistened for effective and fast anti-smear cleaning on the run. 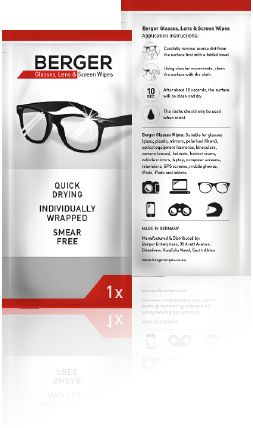 The genuine German wipes have an extremely fine structure which ensures exceptionally gentle, streak-free cleaning of all sunglasses and spectacle lenses regardless of their coating. They can also be used for cleaning most types of sensitive optical surfaces such as displays, smartphones, tablets, laptops and mobile phones. 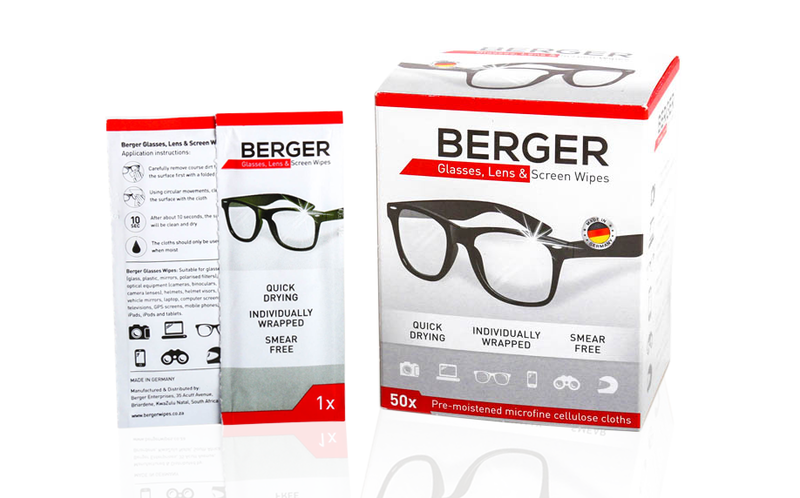 TNNG developed and designed the Berger Wipes logo, followed by packaging development with design for their boxes & sachets. 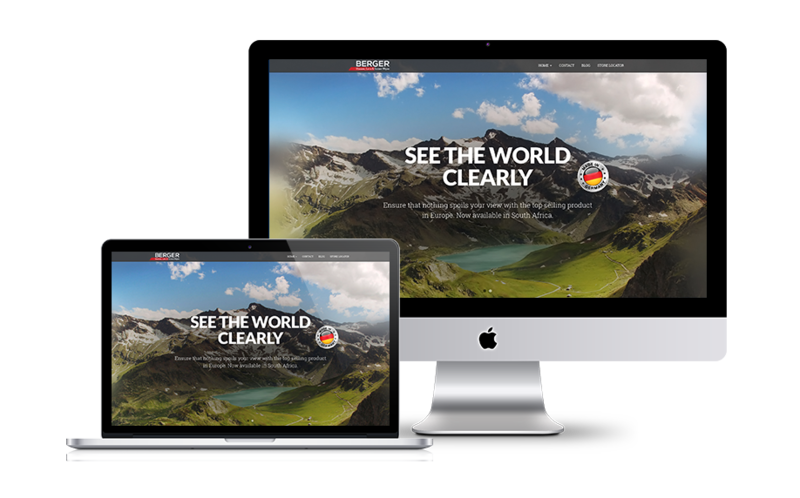 We designed a user-friendly and mobile responsive website, conceptualising a way to display their product. Our SEO tactics have ensured Berger Wipes is on the first page of Google.